1. What did Moses do when he saw a Hebrew being badly treated by an Egyptian? a) He reported it to Pharaoh. b) He murdered the Egyptian. 2. Why did Moses leave Egypt and flee to Midian? a) Pharaoh found out what he had done and issued a death warrant for him. b) Moses wanted to identify with his people, the Hebrews. 3. Moses stayed with Jethro’s family and married one of his daughters, Zipporah. 4. When God heard the cries of the Hebrew slaves, what did He remember? a) He remembered Moses’ failure years earlier. b) He remembered His promises to His people of Israel. 5. What did God use to catch Moses’ attention? a) A bush that burned but did not burn up. b) A giant tree in the wilderness. 6. When Moses learned that God wanted him to lead His people out of Egypt, he immediately agreed. 7. What two signs did God demonstrate to Moses as ways to make the Hebrew leaders believe him? a) His staff turned into a snake and his hand became white with leprosy. b) He brought water out of a rock and kept the bush burning. 8. If the Hebrews did not believe these two signs, what miracle would Moses perform? a) He would part the Red Sea. b) He would turn water from the Nile into blood. 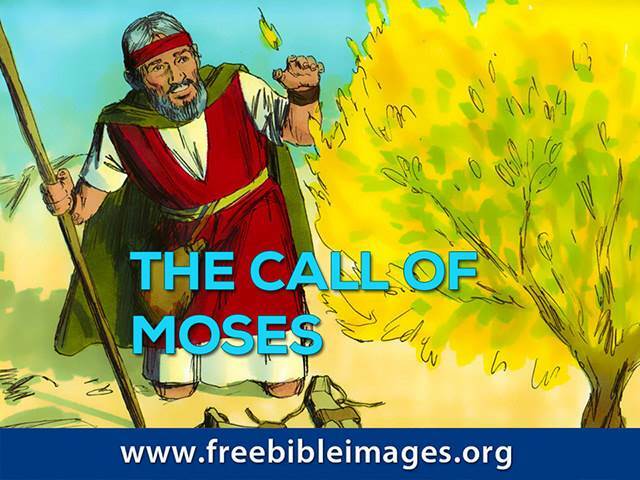 9. Who would be a spokesman for Moses? 10. Where did Moses and his brother meet up?